One of the hats I wear is as the occasional Food Editor for the Auckland Malaysian Society (AMS). AMS is a community group, staffed by a passionate band of volunteers who do a great job in sharing the culture of Malaysia. Luckily, AMS committee members are incredibly patient with my very meager activity (*thanks Patric and Dorin!). 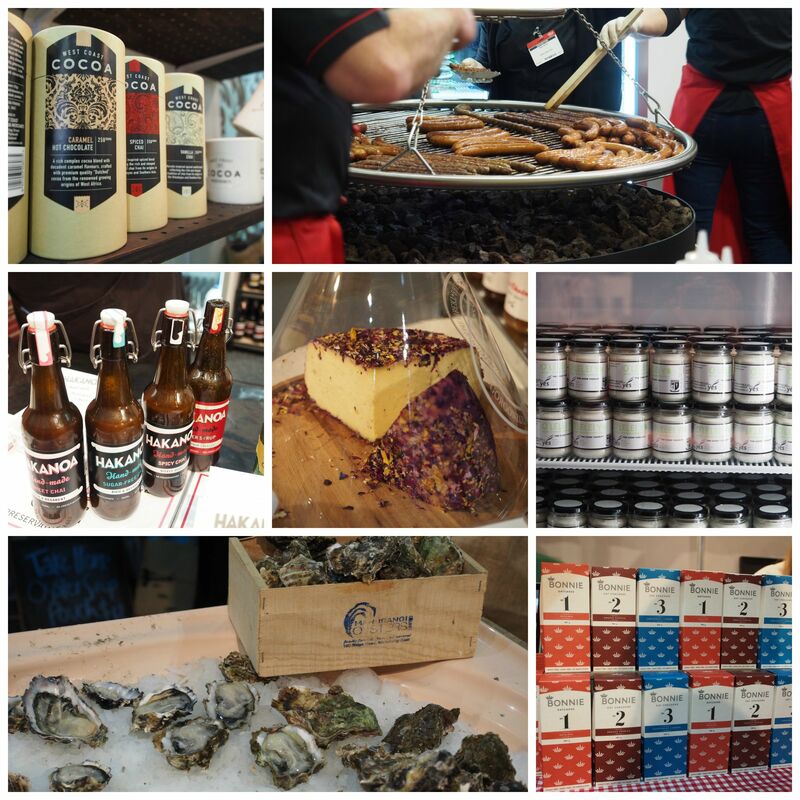 These French confectioneries were popular during the time of Marie Antoinette, but actually hark from medieval days. I’ve developed a fondness for these delicate treats since I accidentally stumbled upon them in Paris many years ago. However, I’ve never attempted to bake them; there are more than enough stories of how devilishly tricky these are to recreate. Sachie Nomaru-Siu is the face of Sachie’sKitchen, which runs cooking classes in their (soon-to-be opened) premises in Parnell teaching hands-on simple ways to cook Japanese. 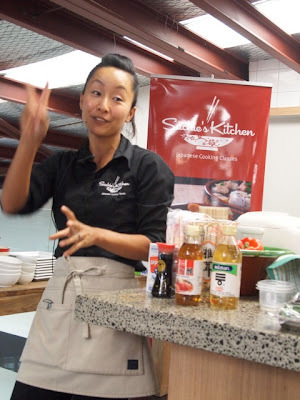 Sachie ran some classes recently at Nosh Food Market in Mt Eden. 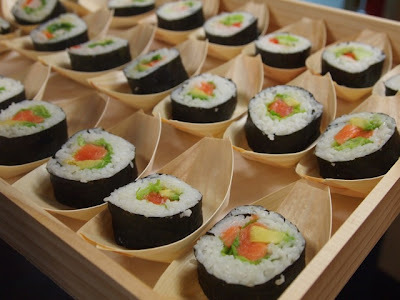 The session at Nosh was a demonstration course taking us through 4 recipes, – gyoza, miso soup, Inari sushi and Maki sushi.